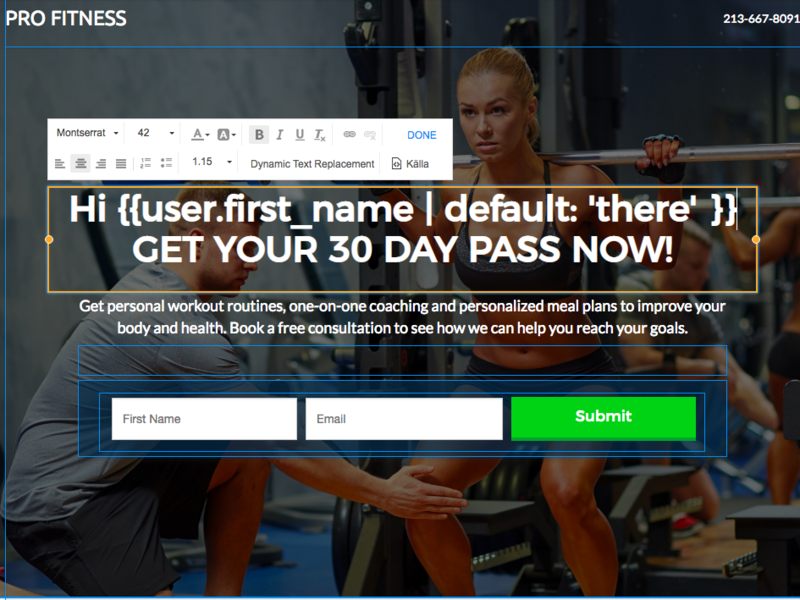 Dynamic text replacement allows you to personalize the text in your landing pages, popups, and forms to match URL parameters and lead properties. 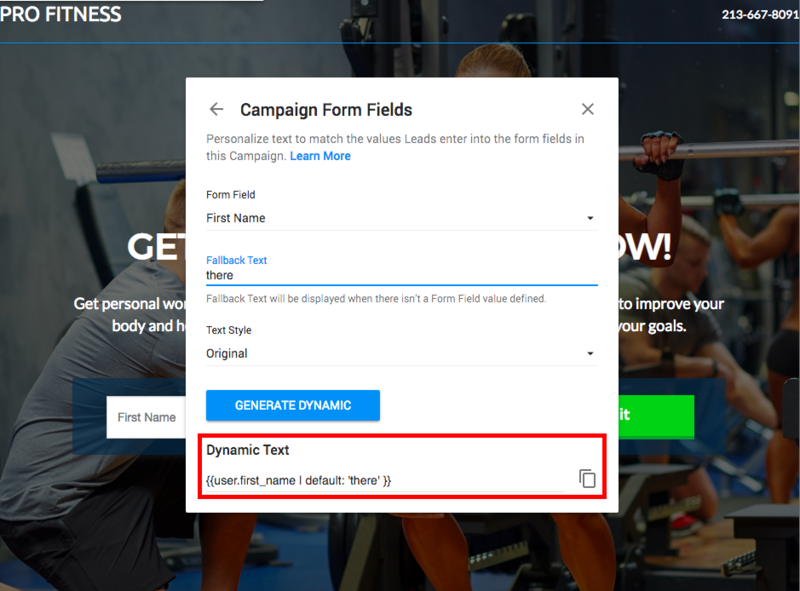 In this article, we will examine how to use campaign form fields for dynamic texts to match search keywords, Google Adwords, and other sources. 2. 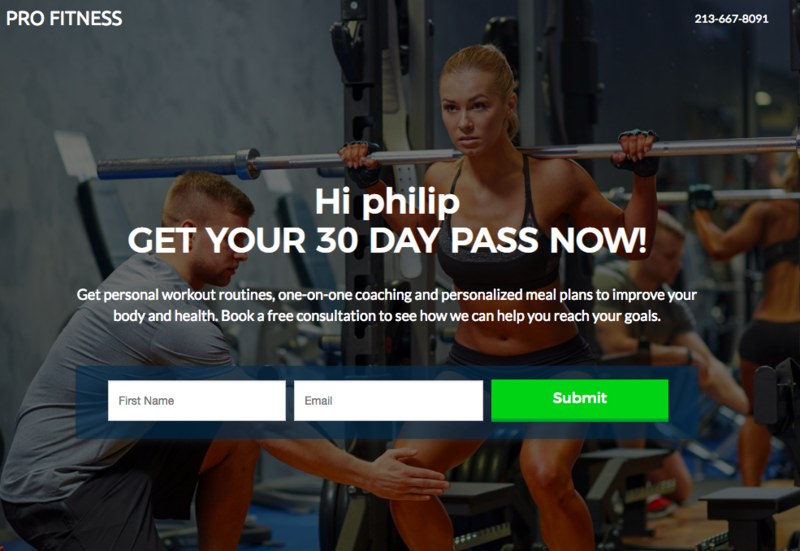 Choose a form field that you would like to use as a dynamic text. 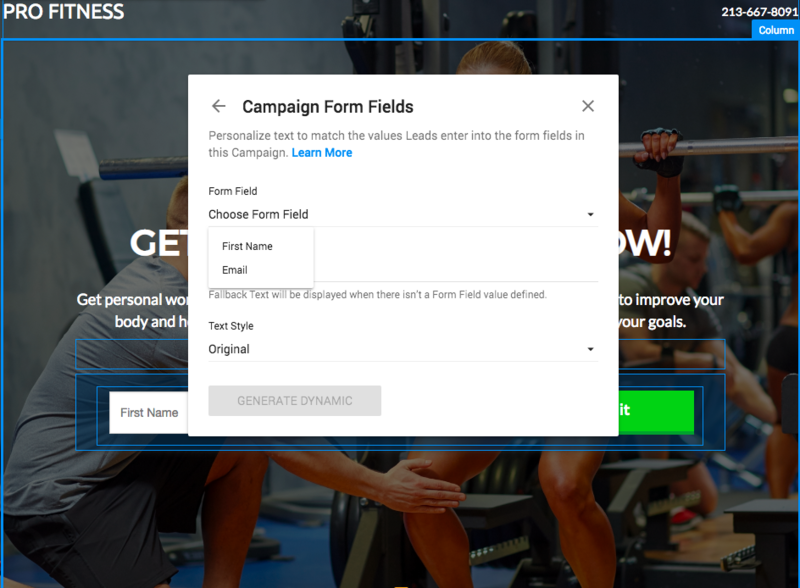 Now choose form field that you would like to use as a dynamic text. 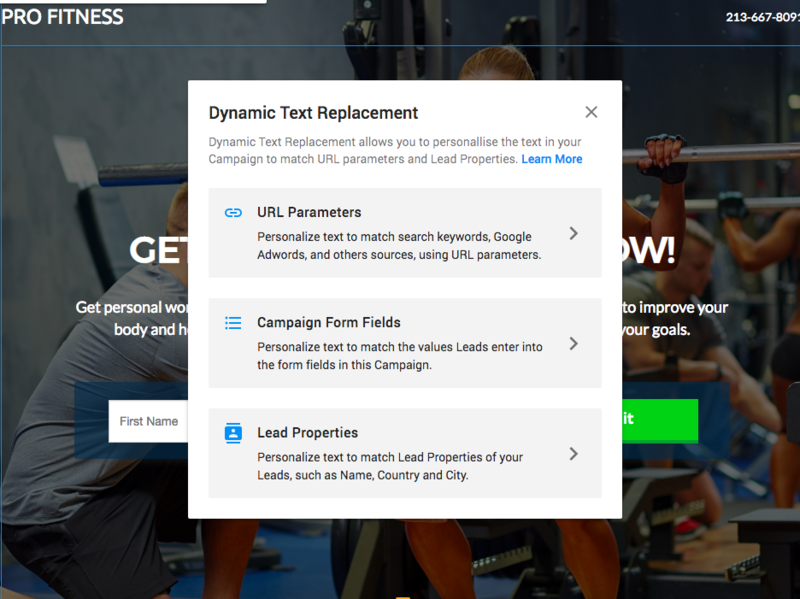 The selectable lead properties are based on the fields that you currently have on the form of this landing page. I'll choose the "First Name" field as a lead property, and use fallback text of "there" to make sure the dynamic text does not appear awkwardly when lead property isn't available.